A Crowd Note modifies the typical convertible note so that the crowd does not automatically convert to equity shareholders. 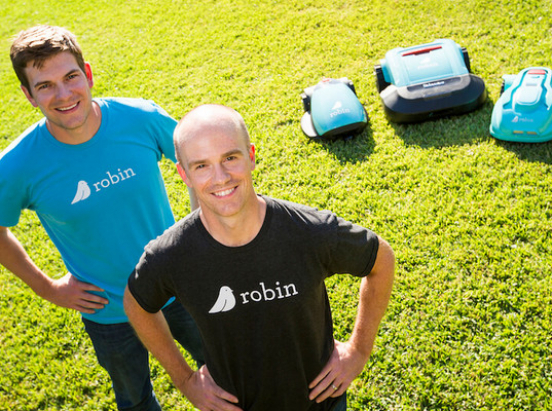 Robin Autopilot has developed its own monthly subscription-based business model and has created a franchise-based business model to help expansion efforts across the nation. The funds raised will be used to scale its plan to offer franchising opportunities. If Robin Autopilot raises the maximum amount of $250,000, it estimates using the proceeds primarily for future wages ($75,000), campaign marketing for recruiting franchise buyers ($50,000), general marketing ($50,000), general working capital ($50,000), and manufacturing of robot doors ($25,000). If Robin Autopilot raises the minimum amount $50,000 it estimates using the proceeds primarily for campaign marketing for recruiting franchise buyers ($20,000), general marketing ($20,000), and general working capital ($10,000). Prior to founding Robin Autopilot, Justin ran sales and client strategy for the e-commerce video company Invodo and helped launch and manage the European headquarters for Bazaarvoice —a digital marketing company based in Austin TX. He also worked in various consulting roles with Deloitte and worked as a bond analyst in the aerospace and financial services sector for Franklin Templeton mutual funds. Justin received an MBA from the Harvard Business School. Before founding Robin Autopilot, Bart served in the Indiana Air National Guard and the United States Air Force, where he attained the rank of Captain. In 2010, he was deployed to Afghanistan and was a member of the Agribusiness Development Team in the Khowst Province. Following his return from Afghanistan, he served as Personal Aide to then Congressman Mike Pence during his 2014 gubernatorial campaign. Bart also served as a Governor’s Fellow for Mitch Daniels and was a Special Assistant and Policy Director for Indiana’s former Lieutenant Governor, Becky Skillman. He graduated from Purdue University with a bachelor’s degree in Agricultural Economics. Conversion Provisions: In connection with equity financing of at least $1,000,000, the Company has the option to convert the Crowd Note into shares of non-voting preferred stock (Conversion Shares) at a price based on the lower of (A) a 20% discount to the price paid per share for Preferred Stock by investors in the Qualified Equity Financing or (B) the price paid per share paid on a $10 million valuation cap. Please refer to the Crowd Note for a complete description of the terms of the Crowd Note, including the conversion provisions.